WASHINGTON, D.C. – March 11, 2014 – (RealEstateRama) — Today, the National Association of Home Builders (NAHB) released the results of a new study, What Home Buyers Really Want: Ethnic Preferences. The latest release from NAHB’s publishing arm, BuilderBooks is a further analysis of the 2013 study, What Home Buyers Really Want, which presented preferences of all home buyers combined. This new study compares and contrasts how housing preferences are affected by the racial or ethnic background of a home buyer, after controlling for factors such as age and income. • Minority home buyers are typically younger than White non-Hispanics buyers. The median African-American buyer is 39, the Hispanic buyer is 37, and the Asian buyer is about 36, while the median White buyer is 43 years old. • Fifty percent or more of buyers in all racial/ethnic groups are married couples: 80 percent of White buyers, 50 percent of African-Americans, 74 percent of Hispanics, and 79 percent of Asians. Most also have children living at home. • Asian home buyers have the highest median household income of all four groups, $72,797, compared with $67,747 for Whites, $50,221 for Hispanics, and $43,774 for African-Americans. 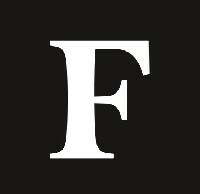 Asians also expect to pay the most for their home: $283,469, compared with $205,775 among Whites, $181,444 among Hispanics, and $176,397 among African-Americans. 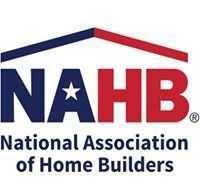 On Wednesday, March 12 at 2:00 pm EST, NAHB will host a webinar to discuss the findings of the survey. For more information, or to register, go to http://www.nahb.org/meeting_details.aspx?meetingID=28738. What Home Buyers Really Want: Ethnic Preferences is available only as an eBook at ebooks.builderbooks.com for $149.99 Retail or $49.99 for NAHB Members. However, limited print copies are available for purchase while supplies last ($195.95 Retail/$69.95 NAHB Member, ISBN 978-086718-732-8) at BuilderBooks.com or by calling 800-223-2665. [Editor’s Note: Editors who are interested in receiving a complimentary copy of What Home Buyers Really Want: Ethnic Preferences to review for their publications should contact Patricia Potts at 202-266-8224 or "> . For complimentary press access to the March 12 webinar, please contact Liz Thompson at "> ].